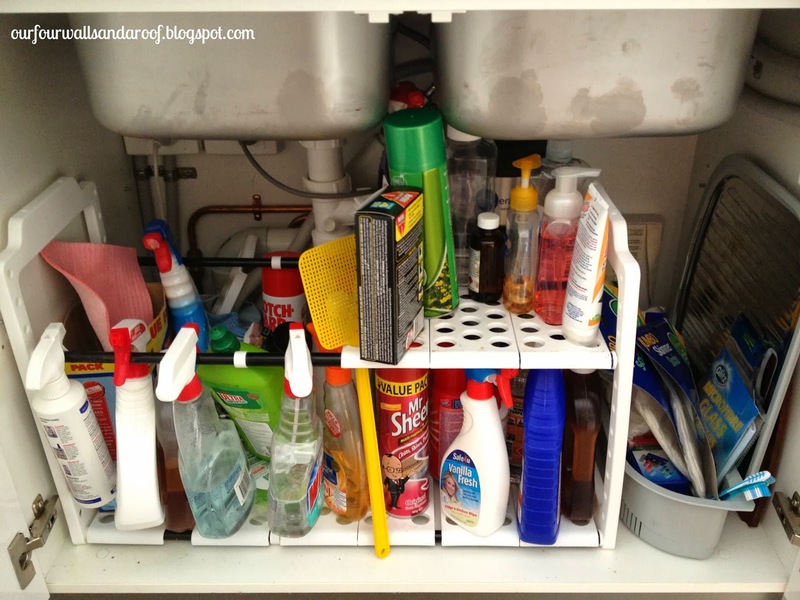 I've found the kitchen sink to be one of those places like the junk drawer that accumulates items before you know it! Be it stray items that my husband puts in or something that I have misplaced, we both did it and now it's a mess. We went to Howard's Storage World and purchased a below the sink organiser, it fits our sink perfectly but you can see from the photo below, it still got out of hand. Everything came out, I gave it a clean, measured up and then off to the shops for containers. 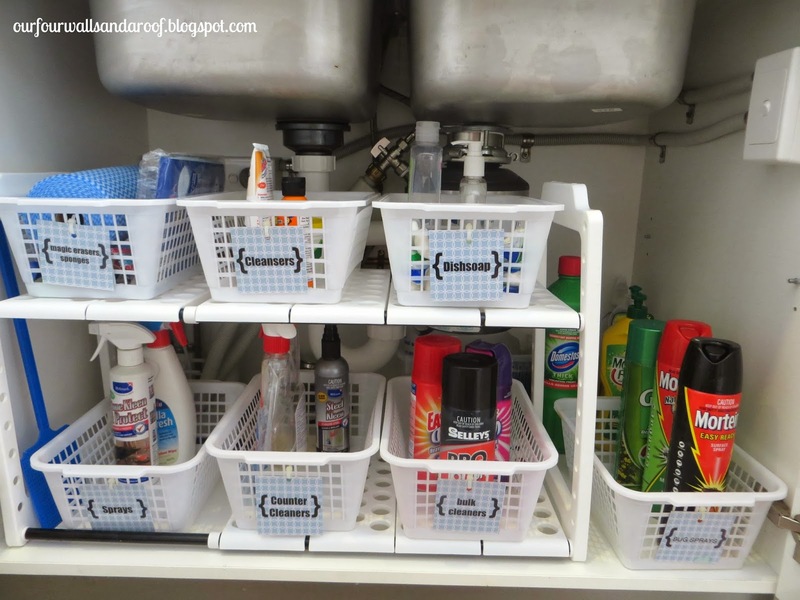 I love organising with containers because it separates items and if you then add a label, well then it just looks pretty! Firstly you need to group like with like, once you have your categories you can place your items in their baskets, label, step back and admire. We've had this setup for a few months and its working well. So it just goes to show that you can bring home an organising item and it might not work for you but with a few little tweaks, you can get it working effectively.